The Europeans are worried about "N Bomb"
Colorado Governor Announces Marijuana Tax Revenues Plan. Gov. John Hickenlooper (D) Wednesday announced his plan to start spending tax revenues from legalized marijuana. He said he would spend $99 million next fiscal year, with half of it going to youth use prevention, another 40% going to substance abuse treatment, and more than $12 million for public health. His proposal must be approved by the legislature. Washington State Regulators Announce Rules Modifications. The Washington State Liquor Control Board announced Wednesday that it will limit marijuana business applicants to one pot grow each, down from the three-license limit it originally set. The board also reduced by 30% the amount of grow space that licensees can use. The board is trying to address how to equitably distribute the two million square foot of grow space it has set as a statewide cap. The move also opens the way to the actual issuance of grow licenses, which could come as soon as early next month. New Hampshire Patient Cultivation Bill Wins Committee Vote. A bill that would allow qualifying patients to cultivate a limited amount of medical marijuana in New Hampshire was approved this morning in a 13-3 vote by the House Committee on Health, Human Services, and Elderly Affairs. The bill will be considered by the full House sometime in March. Sponsored by Rep. Donald Wright (R-Tuftonboro), House Bill 1622 would patients or their designated caregivers to possess up to two mature plants and twelve seedlings. The cultivation location would have to be reported to the Department of Health and Human Services, and patients would lose their ability to cultivate when an alternative treatment center opens within 30 miles of their residence. South Carolina CBD Medical Marijuana Bill Filed. Sen. Tom Davis (R-Beaufort) Wednesday introduced a bill to allow for the use of CBD cannabis oil for the treatment of epilepsy seizures. Senate Bill 1035 has been referred to the Committee on Medical Affairs. Arizona Bill Would Use Medical Marijuana Fees to Fund Anti-Drug Campaigns. A bill approved Wednesday by the House Health Committee would set up a special fund using fees from medical marijuana user and dispensaries to "discourage marijuana use among the general population." House Bill 2333, sponsored by Rep. Ethan Orr (R-Tucson) is being derided by the Marijuana Policy Project, whose spokesman, Mason Tvert, said "It is remarkable how much money some government officials are willing to flush down the toilet in hopes of scaring adults away from using marijuana." Vermont Law School Symposium Will Address Heroin Addiction and New Solutions. The Vermont Law Criminal Law Society is hosting a symposium on heroin and opiate addiction and responses to it on Monday. "This event is about new ideas from new sources," said Vermont Law JD candidate George Selby ', one of the panel organizers. "We need to fundamentally change the way we treat addicts and the opiates they fall victim to." Panelists will include addiction and pain specialists, a narcotics investigator, and an advocate for revolutionizing drug policy. They will discuss whether drug courts, replacement therapy, and support groups are enough, and tackle a controversial question: Should doctors be allowed to prescribe heroin to treat heroin addiction? One of the featured speakers is Arnold Trebach, JD, PhD, professor emeritus of public affairs at American University and founder of the Drug Policy Foundation, the precursor to the Drug Policy Alliance, who plans to call for action in Vermont. Click on the title link for more details. 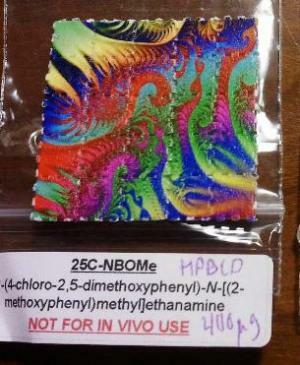 Europeans Issue Alert on Four New Synthetic Drugs. The European Monitoring Center for Drugs and Drug Addiction has issued an alert and announced a formal risk assessment of four new synthetic drugs. They are the hallucinogenic phenethylamine 251-NBOMe ("N-Bomb," linked to three deaths), the synthetic opioid AH-7921 (15 reported deaths in Europe), the synthetic cathinone derivative MDPV ("legal cocaine," linked to 99 deaths), and the arylcyclohexamine drug Methoxetamine (linked to 20 deaths). Click on the link above for more details. British Columbia Judge Rules Mandatory Minimum Drug Sentences Unconstitutional. A judge in Canada's British Columbia ruled Wednesday that mandatory minimum sentences for drug offenders under the federal 2012 Safe Streets and Communities Act are unconstitutional. In November, an Ontario judge struck down a similar sentence for a weapons offense, but BC is the first province to have the drug offense sentences quashed. Crown prosecutors are expected to appeal. India Asset Forfeiture Bill Passes Lok Sabha. A bill that would increase the Indian government's ability to seize assets from drug traffickers was approved Wednesday by the Lok Sabha, the lower house of the country's bicameral parliament. The Narcotic Drugs and Psychotropic Substances (Amendment) Bill, 2011 passed on a voice vote after members took turns worrying aloud about the spread of drug use in the world's most populous democracy. The Smarter Sentencing Act has just passed out of the Senate Judiciary Committee, we have learned -- and with a wide (and bipartisan) 13-5 margin. As before, see our Twitter page for some of the on-site reports. Good news -- more hopefully to come soon. MPP's Superbowl billboards take advantage of the hoopla to challenge the NFL. Obama's State of the Union Remarks on Marijuana Policy. Sorry, there weren't any. Nor did he speak about sentencing reform or any other aspect of drug policy. 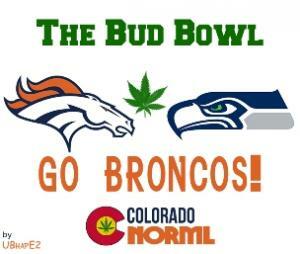 Superbowl Banners Chide NFL on Marijuana Hypocrisy. 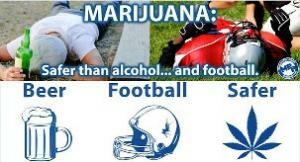 The Marijuana Policy Project has launched a billboard blitz on the NFL, using five billboards around MetLife Stadium, where the game will be played Sunday, to highlight the hypocrisy of the leagues' marijuana policy. The group also delivered a petition with more than 12,000 signatures to league headquarters in New York City Wednesday calling on the league to stop punishing players for using pot. Wall Street Journal/NBC Poll Has Support for Legalization at 55%. Yet another poll is out showing majority support for marijuana legalization. The Wall Street Journal/NBC News poll has it at 55%. Click on the link for more details. Nevada Legalization Advocates Focus on 2015. Nevada marijuana activists are crafting language for an initiative to legalize the herb with an eye on gathering enough signatures this year and next to put the measure before the state legislature. If the legislature then fails to approve it, it would go before the voters in 2016. Connecticut Announces Selection of First Medical Marijuana Producers. State officials Tuesday announced that four applicants have been chosen as the first-ever producers of medical marijuana to serve the needs of seriously ill patients in Connecticut. Each of the four businesses now must establish escrow arrangements in the amount of $2 million, and pay their annual license fee, at which time their operating license will be issued. Producers must be operational within 180 days of licensure. Additional information about the licensed producers will be made available in the near future. 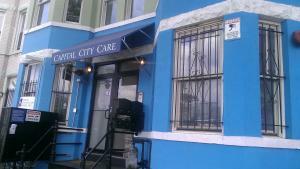 10th Annual National Harm Reduction Conference Set for Baltimore in October. This is the nation's largest annual harm reduction event. Click on the link for all the details. New Jersey School District Abandons Random Student Drug Testing Bid. The Northern Valley Regional School District has given up its effort to impose random drug testing on students involved in extracurricular activities. After a year of debate, with many parents fiercely opposing the plan, the school board voted it down 5-4. Maine Workplace Drug Testing Bill Under Consideration. A bill backed by conservative Republican Gov. LePage and the state Department of Labor is designed to encourage an expansion of drug testing by private employers. Legislative Document 1669 would remove the current provision that requires employers to maintain an employee assistance program and pay for half the costs of drug treatment. The bill would also make it easier for employers to identify potential drug abuse by creating a probable standard for testing that could be triggered by a single accident within the workplace. The bill is opposed by labor unions and the ACLU of Maine, which calls it a serious invasion of employee privacy. Indiana Welfare Drug Testing Bill Passes House. A welfare drug testing bill easily passed the Republican-dominated House Tuesday. House Bill 1351 would require welfare applicants to take a written test that measures their propensity to use drugs. 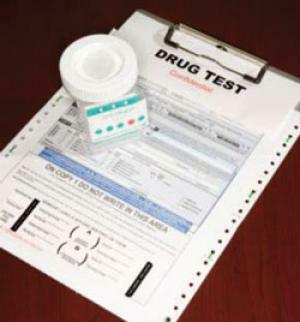 Those whom the test says are likely to be drug users would be required to undergo drug testing. Persons who fail the drug test could keep their benefits, provided they undergo drug treatment. But, as bill critic Rep. Vanessa Summers (D-Indianapolis) pointed out, the state doesn't offer low-cost drug treatment. The bill now goes to the state Senate. Federal Smarter Sentencing Act Picks Up More Supporters. The Smarter Sentencing Act of 2013, which would reduce the use of mandatory minimum sentences for drug offenses, give judges more discretion to sentence beneath the mandatory minimums, and apply retroactive sentence reductions to some crack cocaine offenders, has picked up more support this year. It was introduced with two cosponsors, Sens. Mike Lee (R-UT) and Patrick Leahy (D-VT). Sens. Sheldon Whitehouse (D-RI), Rand Paul (R-KY), and Angus King, Jr (I-ME) came on board last fall, and Sens. Martin Heinrich (D-NM), Carl Levin (D-MI), and Jeff Flake (R-AZ) have joined as cosponsors this month. The link is to the bill itself. Canada Opposing Harm Reduction Policies in UN Fight. In the fight over new guidelines for the global drug control regime at the United Nations, Canada is opposing efforts to place a stronger emphasis on harm reduction measures. Drug policy groups monitoring the negotiations say Canada has joined ranks with China, Egypt, Iran, Pakistan and Russia in aggressively opposing European endorsements of health policies aimed at reducing harms, such as HIV transmission, among drug users. Canada also opposes the participation of nongovernmental organizations (NGOs) in future UN drug policymaking sessions. "The Government of Canada believes that the best way to address the public health consequences of injection drug-use is to prevent people from using illicit drugs in the first place," said a Canadian government spokesperson, refusing to elaborate further. Guatemalan Peasants Attack Opium Poppy Eradicators. Scores of opium-growing peasants in a community near the Mexican border attacked a national police contingent sent out to eradicate their crops Monday. Indian peasants in Tajumulco blocked the way and threw rocks, sticks and incendiary bombs at the contingent to stop it from reaching the croplands. Three police officers were injured, but police said they would continue eradication efforts. Last month, Guatemalan President Otto Perez Molina floated the idea of legalizing the poppy crop. No Marijuana Decriminalization for Guyana, Home Affairs Minister Says. Guyanese Home Affairs Minister Clement Rohee Tuesday shot down any talk of liberalizing the country's marijuana laws. "As we speak at this point in time, at twenty minutes to five, on the twenty-eighth day of January, the position and the policy of the government of Guyana is to pursue a zero tolerance policy in respect of trafficking in narcotics, possession of narcotics and any other form of activity in respect of drugs that are deemed illegal according to the laws of our country and according to the treaties and conventions of an international nature which we have signed on to," the Home Affairs Minister declared. Jamaican Government Still Scared of Western Opposition to Marijuana Reform. Foreign Affairs Minister AJ Nicholson warned Monday that Jamaica must proceed cautiously with calls to decriminalize or legalize marijuana because of fears of violating global drug control treaties and offending the US and European countries. "There is no consideration at this time about changing the treaties, but there are still some concerns about how some Western countries would view our move towards decriminalize, depenalize or anything like that," he said. Filipino Legislators Ponder Medical Marijuana. Minority lawmakers in the Philippines are considering medical marijuana. Rep. Rodolofo Albano III said that he planned on filing a bill in March that would permit the sale and purchase of cannabis strictly for medical use. Drug War Chronicle takes no position on the game. 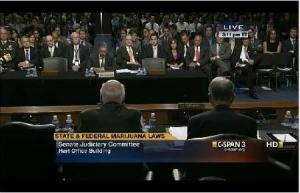 DEA Head Criticizes Obama Marijuana Remarks, Faces Calls to be Ousted. DEA Administrator Michele Leonhart last week got a standing ovation from a convention of sheriffs when she criticized President Obama's remarks on the relative safety of marijuana compared with alcohol. But now, drug reformers are calling for her head. New Jersey State Senator Announces Plans to Introduce Marijuana Legalization Bill. State Sen. Nicholas Scutari (D) said late last week that he plans to introduce a bill to legalize marijuana. The bill is not yet filed, but envisions language that would tax and regulate marijuana like alchohol. Harris County (Houston) DA Says Decriminalize It. Responding to Texas Gov. Rick Perry's (R) remarks last week in Davos that he supported decriminalization of marijuana possession, Harris County DA Devon Anderson said she agrees with his call for decriminalization. Seattle City Attorney Wants More Marijuana Stores. Seattle City Attorney Pete Holmes last Thursday reiterated his request that the Washington State Liquor Control Board increase the number of marijuana retail stores allowed in the city. The board has set the number at 21, but Holmes has said that is not going to be enough. Oregon Marijuana Legalization Referendum Bill Filed. State Sen. Floyd Prozanski (D-District 4) and several cosponsors have introduced Senate Bill 1556, which would legalize, tax, and regulate marijuana possession and commerce for adults. If passed by the legislature, the measure would then go before voters on the November ballot. Florida Supreme Court Approves Medical Marijuana Initiative -- It's Going to the Voters! The Florida Supreme Court Monday removed the final obstacle to the state's medical marijuana initiative appearing on the November ballot. It rejected a challenge to the measure's language by Attorney General Pam Bondi (R). The initiative has already had enough signatures validated to qualify. Click on the link to read the opinion and the text of the initiative. Guam Medical Marijuana Bill Now Calls for Referendum. Sen. Tina-Muna Barnes, sponsor of medical marijuana Bill 215, announced Monday that she has rewritten the bill "to allow for a referendum, thus placing the question before the People of Guam in the 2014 General Election." She made the change, she said, because "the overwhelming majority of senators from both parties felt that an issue of this importance should be decided by the people directly." Medical Marijuana Dispensary Licenses Set To Be Awarded In Massachusetts. The state Department of Public Health says it hopes to award up to 35 medical marijuana dispensary licenses this week. More than a hundred applications have been submitted. State law allows up to five dispensaries in each county in the state. Bangor (PA) School District Wants Random Drug Tests for Teachers. A policy that would make the Bangor Area School District the only one in the state to require random, suspicionless drug testing of teachers is part of negotiations for a new union contract. The contract being discussed wouldn't impose random drug testing, but would require teachers to put it to a vote. The issue came to the fore in the area after a teacher died of a heroin overdose in the apartment of a wrestling coach in 2009. Illinois Welfare Drug Testing Bill Introduced. State Rep. Dwight Kay (R-Glen Carbon) has introduced a bill that would require welfare applicants to undergo a drug test before becoming eligible to receive benefits. House Bill 4255 does not include an intermediary step of drug screening to determine which applicants are likely to be drug users, but goes straight to testing all applicants. 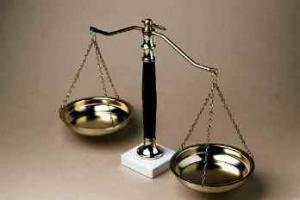 The federal courts have found similar laws unconstitutional. US Supreme Court Restricts Heroin Death Sentencing Enhancement. The US Supreme Court ruled Monday that a heroin dealer cannot be held liable for a customer's death if the heroin use was only a contributing factor and not necessarily the sole cause. Federal law imposes a 20-year mandatory minimum sentence when "death or serious injury results from the use" of an illegal drug, and prosecutors have used the statute to win the tough sentences, but the high court held Monday that prosecutors must prove that the drug was the specific cause of death, not just a contributing factor. The case is Burrage v. United States. San Francisco Jail Population Dropping Because of Decrease in Drug Arrests. A report from the San Francisco board of supervisors' budget analysts says the jail population has dropped because of decreased drug arrests and city policies that promote alternatives to incarceration. The jail population is down 30% since 2008. The report comes as supervisors wrangle over whether the city needs a new jail and how big it should be. DEA Busts Bitcoin Exchange CEO for Silk Road Money Laundering. Charlie Shrem, the CEO of BitInstant, a Bitcoin exchange, has been arrested by the DEA and is charged with money laundering for selling over $1 million in Bitcoins to users of the Silk Road dark web drug sales site, who used the currency to buy drugs there. Shrem faces federal money laundering charges. Shrem and an unnamed coconspirator were both charged. "Hiding behind their computers, both defendants are charged with knowingly contributing to and facilitating anonymous drug sales, earning substantial profits along the way," DEA agent James Hunt said in a release. Virginia Bill to Criminalize "Secret Compartments" Filed. A bill introduced by state Sen. Chap Petersen (D-Fairfax) would make it a crime to knowingly have a secret compartment in a car -- even if there isn't anything in it. The bill, Senate Bill 234, makes having such a compartment a felony and defines a "false or secret compartment" as any enclosure that is integrated into or attached to a vehicle or vessel, the purpose of which is to conceal, hide, or prevent the discovery of a person, controlled substance, or other contraband. Mexican President Invites Anti-Cartel Vigilantes to Join Security Forces. Mexican President Enrique Pena Nieto said last Thursday that anti-cartel vigilantes or militias were a result of institutional weakness within national security forces and asked them to join those same security forces. He asked them to do "to do it by observing the principles and formalities of the law, fulfilling the requirements to become part of the security corps." The vigilantes are engaged in ongoing battles with the Knights Templar cartel in the state of Michoacan. Dutch MP Calls on Government to Allow Marijuana Growing Pilot Projects. Labor MP Marith Rebel called last week for Justice Minister Ivo Opstelten to allow experiments with the legal production of marijuana. "Turning a blind eye to the fact the cafes are selling marijuana but not recognizing the fact they also have to buy it is helping criminals," Rebel said. Opstelten last month rejected calls from local councils to allow regulated grows, even though polls show majority support for the move. New Zealand Greens Will Push for Marijuana Decriminalization, But Not Too Hard. New Zealand's Green Party says it will push for decriminalization in any post-election negotiations with Labor, but that the issue will not be a deal breaker. "I would like to progress a vast amount of our policy, and that would be one," said party coleader Metiria Turei. "We believe a drug-free lifestyle is the healthiest, but we don't believe people should be convicted of a crime, adults, if they smoke cannabis. So we still consider decriminalization is the wisest policy." But she also said the party had no bottom lines as it ponders the prospect of a coalition government with Labor. While the truly historic moments in US marijuana legalization -- the November 2012 election victories in Colorado and Washington and the commencement of legal marijuana sales in Colorado on Wednesday -- neatly bracketed 2013, history was being made by the Obama administration as well. The first presidency to deal with states voting to legalize marijuana for adults in direct contravention of federal law did so in a remarkably reasonable fashion: by largely getting out of the way. In August, Deputy Attorney General James Cole issued a three-page memorandum affirming that the US Justice Department would allow the two states to move forward with statewide efforts to license and regulate the adult marijuana market. Cole later reaffirmed the agency's position in testimony before the US Senate, stating, "We will not … seek to preempt state ballot initiatives." Kudos are also due to legislators, elected officials, and functionaries in Colorado and Washington, who accepted the voters' choice to legalize marijuana with apparent good faith. The Washington state Liquor Control Board and Colorado legislators both came up with workable ways of implementing the will of the voters, while being careful to also heed the concerns of those worried about problems legalization could bring with it. Colorado's system rolled out this week and Washington's will come in a matter of months. If 2012 was the year public opinion in favor of marijuana legalization reaching the tipping point, 2013 was the year it went over it. An October Gallup Poll had support for legalization a record-breaking 58% nationwide. That was in line with a number of other polls since the 2012 elections that showed support either above or just below 50%, depending on the pollster. The on-going sea change in public opinion has also been apparent in polls showing majority support not just where it might be expected, like California, but also where it isn't, like Louisiana and Texas, both of which reported late year majorities for legalization. Bills legalizing medical marijuana passed in Illinois and New Hampshire, bringing the number of states that allow it to 20, along with the District of Columbia. Dispensaries opened for the first time in New Jersey, Rhode Island, Vermont, and the District of Columbia. And bills that will allow dispensaries to open this year passed in Nevada and Oregon. About two dozen states saw medical marijuana legislation filed last year; expect a similar level of activity this year. For the third year in a row, the number of people in prison in the US declined, the Justice Department's Bureau of Justice Statistics reported in July. (The figures are actually for year's end 2012, but the report came out in 2013, so here we are.). The figures do not include jail inmates. 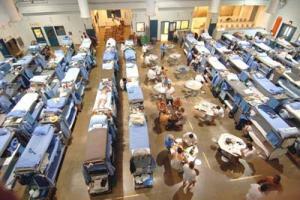 At the end of 2012, there were 1,571,013 prisoners in America, down 1.7% (or 27,770 inmates) from the previous year. Breaking down the numbers, that means that somewhere north of 330,000 people were serving time for drug crimes in US prisons at the end of last year, down from a record high of nearly half a million at the beginning of the century. The decline is because of shifts in sentencing policies in the states; the federal prison population kept expanding, although at a lower rate than over the past decade. 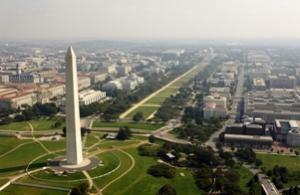 The clamor to do something about drug sentencing reverberated throughout the nation's capital in 2013. In August, Attorney General Holder announced an administration package of sentencing reforms, some of which could be enacted administratively, such as prosecutors not routinely resorting to mandatory minimum charging decisions, but others of which require congressional action. And while Congress didn't actually pass anything, it laid the groundwork for action next year. 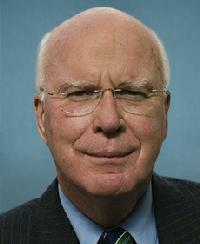 Senate Judiciary Chairman Sen. Patrick Leahy (D-VT), an increasingly loud critic of mandatory minimums, allied himself with Sen. Rand Paul (R-KY) to introduce the Justice Safety Valve Act of 2013, and similar legislation has been introduced in the House. In another sign of interest in sentencing reform, 10 members of the House Judiciary Committee formed an "over-criminalization" task force in May. The Senate Judiciary Committee held a hearing on mandatory minimum sentencing in September to whip up support for their legislation and other sentencing reform bills, and the committee held a mark-up session on the bills in December. The stage appears set for real movement this year. Although, over the years, 13 states and the District of Columbia have moved to reduce incarceration burdens by treating simple drug possession offenses as misdemeanors instead felonies -- defelonization -- the idea got renewed impetus in 2013, especially on the West Coast. In California, a bill that would have allowed prosecutors the option of charging felony possession cases passed the legislature, and in Washington state, legislators and activists announced late last year that they would try to move a similar bill there this year. Unfortunately, California Gov. Jerry Brown (D) vetoed the defelonization bill, but as a result of that veto, the San Francisco DA and the San Diego police chief have filed a defelonization initiative. While 2013 was a building year for defelonization efforts, they could well bear fruit this year. Legislation seeking to make public benefits beneficiaries pass drug tests continued to popular in Republican-dominated state legislatures in 2013, with bills introduced in at least 30 states, but by year's end, only a handful had actually passed, and all of those were "reasonable suspicion" bills instead of bills requiring mandatory, suspicionless drug testing. Drug testing bills passed in Kansas (welfare, unemployment), North Carolina (welfare, passed over the Republican governor's veto), Michigan (unemployment), and Texas (unemployment). But as the year went on, there was rising criticism of the cost of enforcing such legislation and the small number of actual drug users found in states that had previously passed similar bills, including Minnesota, Oklahoma, and Utah. And the last day of 2013 saw a federal judge throw out Florida's suspicionless welfare drug testing law as unconstitutional. The up side is that that ought to drive a stake through the heart of any more suspicionless drug testing bills; the down side is that legislators elsewhere have already figured that out, which is why all of the 2013 bills that passed were "reasonable suspicion" bills. Not only were industrial hemp bills filed in both houses of Congress last year, but for the first time ever, the House passed a hemp production measure. The measure was an amendment to the farm bill, but unfortunately, the entire bill was defeated after Republicans attempted to attach drug testing provisions for food stamp recipients. A later version of the bill passed without the hemp amendment. Still, there is hope that the hemp amendment, which also had Republican support, will reemerge whenever the Senate and House meet in conference committee. Meanwhile, more states took up hemp legislation, with a bill passing Kentucky and another one passing in Colorado (as part of the implementation of Amendment 64). Hemp bills were also filed in California (approved in the state Senate), Missouri, New Jersey, and Vermont (as part of a broader legalization bill). And in November, a Colorado farmer oversaw the first hemp crop harvest since World War II., even though it remains illegal under federal law. Just before year's end, President Obama granted clemency to eight crack cocaine offenders, bringing an early Christmas present to poster boy for drug war sentencing excess Clarence Aaron and seven other crack cocaine offenders. Aaron has served more than 20 years for his peripheral role in a cocaine conspiracy, and the others were serving equally onerous sentences. The commutations were a departure for the Obama administration, which has been the stingiest in recent presidential history when it comes to the pardon power. Before the pre-Christmas commutations, Obama had issued only one commutation, where someone currently serving a sentence is actually released from prison, and 39 pardons of people who had already been released, some of them decades ago. The Senate Judiciary Committee will be working on a trio of sentencing reform bills Thursday. Committee Chair Sen. Patrick Leahy (D-VT) is attempting to create a comprehensive sentencing bill that will attract bipartisan support. The three bills are the Smarter Sentencing Act (Senate Bill 1410), the Recidivism Reduction and Public Safety Act (Senate Bill 1675), and the Justice Safety Valve Act (Senate Bill 619). The Smarter Sentencing Act expands mandatory minimum sentencing reform by making the 2010 Fair Sentencing Act retroactive and reducing the length of many mandatory sentences by half. The Recidivism Reduction and Public Safety Act would increase good time credits for rehabilitative programs, while the Justice Safety Valve Act would allow judges to sentence below mandatory minimums if certain circumstances are present. The bills are backed by a broad coalition of civil rights, drug reform, and faith groups, as well as conservative and law enforcement and victim rights groups. The hearing is set for 10:00am EDT Thursday. You can watch it online here. Call Judiciary Committee Senators TODAY to End Harsh Drug Sentencing! Tomorrow -- Thursday, December 12 -- the US Senate Judiciary Committee will meet to discuss mandatory minimum sentencing and S. 1410, the Smarter Sentencing Act. 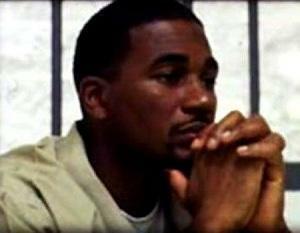 The Smarter Sentencing Act is a bipartisan bill sponsored by committee chairman Sen. Patrick Leahy (D-VT) and Sen. Rand Paul (R-KY), which would allow federal judges to bypass the much-criticized mandatory minimum sentences, sparing thousands of nonviolent federal offenders from years or even decades of incarceration. The bill would also extend retroactive sentencing reductions to some federal crack prisoners who had already been sentenced before the 2010 Fair Sentencing Act that reduced crack sentences was passed. Today is a National Call-In Day for people who have Senators on the Judiciary Committee to call them in support of the bill. Please read the list of committee members below. If you live in one of the states that is on the list, please call the Congressional Switchboard at (202) 224-3121 and ask to be transferred to the Senator's office. (If you are from Minnesota, Texas or Utah, you have two phone calls to make, as both of your Senators as on the Committee.) There is a phone script below that you can use as a guide for your call. When you are done, or if you are not from one of these states, please post this alert to your web sites or social media, or circulate them to people you know who are from any of these states. "I'm a constituent, and I'm calling to ask the Senator to vote in favor of mandatory minimum sentencing reform, including the Smarter Sentencing Act, S. 1410, at this Thursday's Judiciary Committee markup. The Senator should vote to reform mandatory minimums because they are unfair, expensive, and don't keep us safe. Thank you for considering my views." "I'm a constituent, and I'm calling to thank the Senator for his support of mandatory minimum sentencing reform, including S. 1410, at this Thursday's Judiciary Committee markup. The Senate should vote to reform mandatory minimums because they are unfair, expensive, and don't keep us safe. Thank you for considering my views." Thank you for taking action! Read our report about why this is such a promising time for sentencing reform, online here. And read more about the upcoming hearing here.